Animals have a lot of weird sleep habits, from sleeping vertically (lookin’ at you, whales!) to only getting a few moments of sleep throughout the day. What technically is a snail? First things first, snails are gastropods, a class of invertebrates that encompasses several species of snails and slugs. They inhabit just about every continent in the world, and can range from the tiny sidewalk creepers you see after a rain storm to the thirty-inch Syrinx aranus, a sea snail whose shell twists and turns into a sharp point. Snails are also hermaphrodites, so they can reproduce with any member of their species. 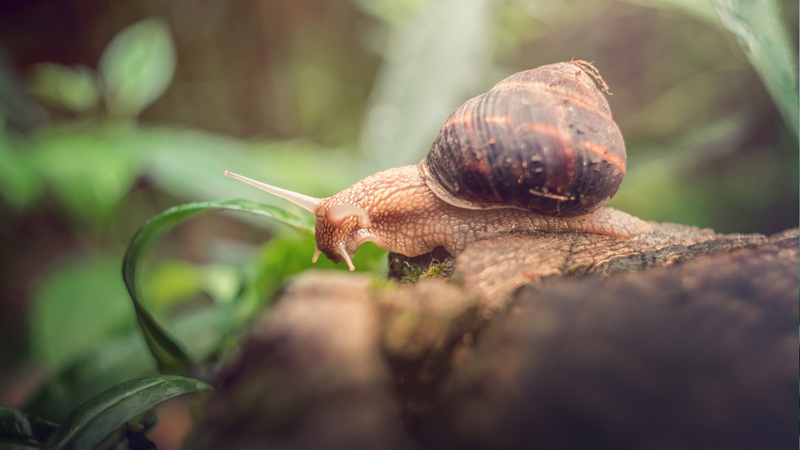 Snails are one of the slowest land animals on the planet—the common garden snail usually tops out at about fifty yards an hour. So how long do snails sleep? Snails are creatures that require a lot of things to be going right with their environment to survive—if things are too hot or dry, they can dehydrate and die—so they frequently seal themselves into their shells and go into a deep sleep until better weather conditions roll in. During the winter, this is called hibernation, but when animals sleep due to a hot and dry climate, it is called estivation. 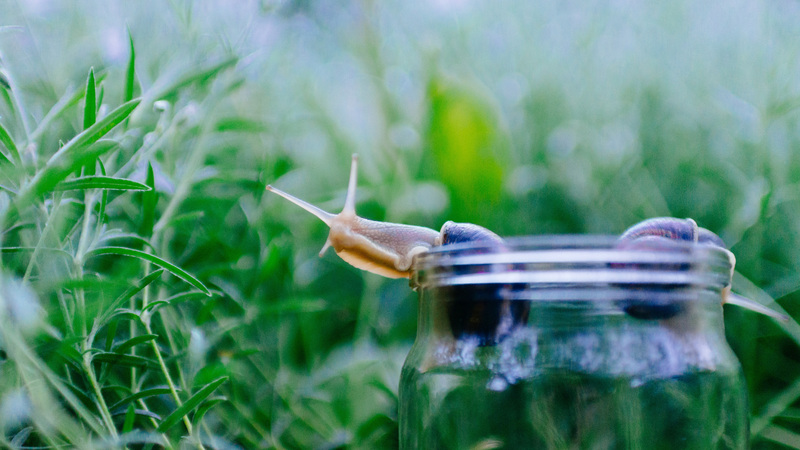 Snails can survive in this state up to three years, though typically their sleep cycles spread over two or three days, as opposed to the usual twenty-four hour cycle we’re accustomed to. 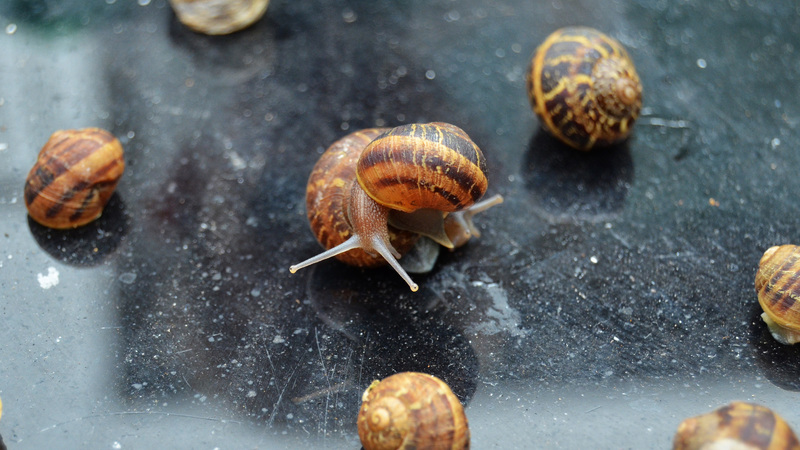 Scientists studied the normal sleep habits of snails, absent of bad weather, for over seventy days to measure how quickly they responded to certain stimuli. The pattern that emerged is fascinating—snails will sleep for seven periods in the first thirteen to fifteen hours, and then stay alert and active for the next thirty. This cycle continues until they encounter unfavorable climates and either go into a state of hibernation or estivation. Snails and slugs are essentially the same. They are both gastropods and the only defining characteristic between them is that snails have shells. They make for a pretty weird, but popular, facial trend creeping up in the beauty world. Mesoamericans considered the sea snail a symbol of joy. Some snails, like the cone snail, have venom strong enough to kill a human. The largest known land snail weighed in at just under two pounds. The slime snails produce can protect them so well that if they crawl over the edge of a razor blade, it won’t cut them.